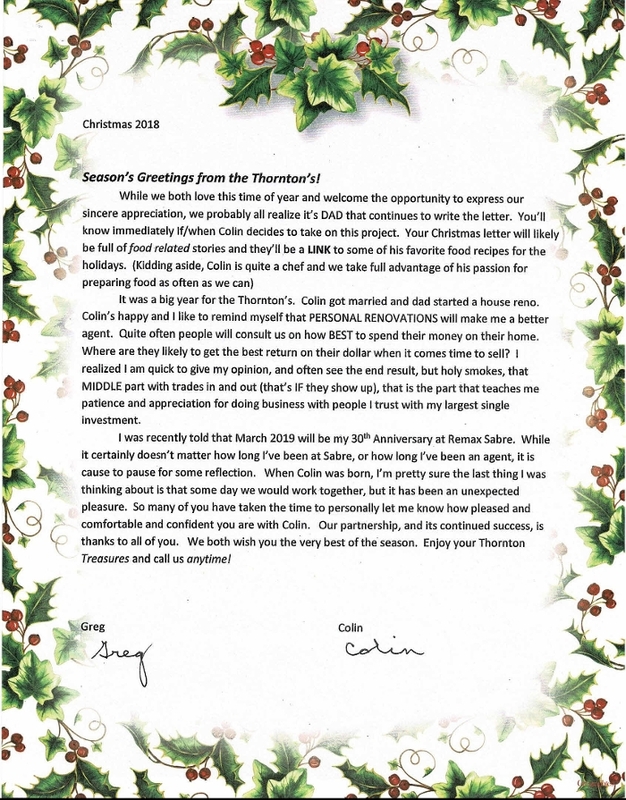 Season's Greetings from the Thornton's! It was a big year for the Thornton's. Colin got married and dad started a house reno. agent. Quite often people will consult us on how BEST to spend their money on their home. thanks to all of you. We both wish you the very best of the season.